Pumaspeed and MAXD have worked closely together to bring you a power package that has the ability to get you to the coveted 300bhp figure. 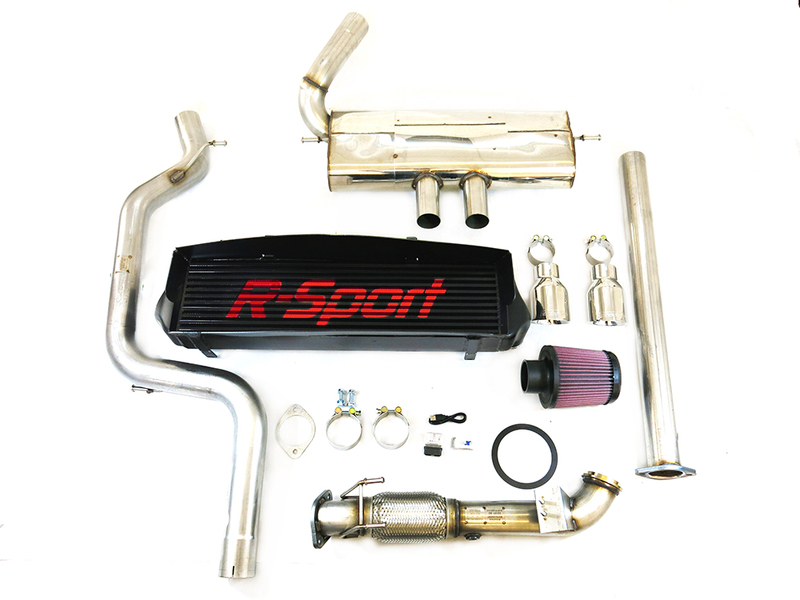 With a few choice hardware pieces we can transform your ST250 into a properly fast hot hatch. With peak figures in excess of 300bhp and a collosal amount of torque (468nm), the car will have bags of in gear pace leaving behind GTI's, Cupra's and VXR's. Despite all this power fuel economy remains acceptable and power delivery is smooth and progressive, allowing the ST250 to be sedate and humble on the daily commute or cruising around town. The addition of the Milltek Turbo back exhaust adds to the thrill, injecting some much needed exhaust noise and excitement to the car. From installing this kit you will have a true drivers car, exhilarating to drive, powerful and practical all rolled into one. The Pumaspeed Workshop team are ready to fit the Focus ST250 305bhp Power Upgrade in our Head Office located here. Therefore making parts and labour a total cost £2,161.00 (inc. VAT). Pumaspeed have a specialist distribution team that can dispatch the Focus ST250 305bhp Power Upgrade to any destination worldwide.